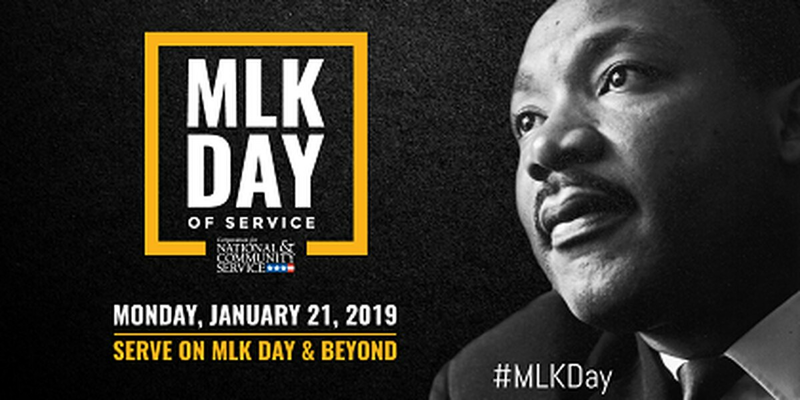 (KLTV) - East Texans will join the rest of the nation in observing Martin Luther King, Jr. Day on January 21. The federal holiday is observed annually on the third Monday of January, which is the Monday closest to his January 15 birthday. Congress was presented with a petition with over 3 million signatures requesting that Dr. King’s birthday be commemorated with a holiday. Congress resisted until 1983, when President Ronald Reagan signed Martin Luther King Jr. Day into law as an official holiday. It was first observed in 1986. Whether your preference is to attend a service, volunteer for a cause, or just enjoy a day off, consider one of these East Texas events to be a part of. January 21 - MLK Citywide Celebration - Under the theme “Continuing the Dream: Moving Toward Unity, Justice and Peace” several events have been planned including a jazz concert, parade, festival, worship service, and a memorial march. Civil Rights Exhibit and related activities: LeTourneau University’s Department of Humanities and Social Sciences will present a free, public exhibit on civil rights that will run for six weeks, in time for Martin Luther King Day on January 21 and running throughout Black History Month in February. Opportunities for students, staff, and faculty to join in local marches and other local activities during the Martin Luther King Jr. holiday weekend are also planned. LETU students will participate in a convened panel discussion Jan. 17 on MLK’s dream, progress and challenges and will participate in coordinated opportunities to serve in the community. The university is also partnering with the local community on MLK Day, Monday, Jan. 21, for Longview’s MLK march and church service at Mt. Olive Baptist Church. Those include a special presentation by Dr. Walter Strickland, vice president for Kingdom Diversity Initiatives at the Southern Baptist Theological Seminary, at 10:50 a.m. Wednesday, Feb. 27, in the Belcher Chapel. The chapel service is free and open to the public. The free exhibit featuring photographs, facsimiles of landmark documents and quotations by those engaged in the civil rights struggle will be open from Friday, Jan. 18, through Friday, March 1, in Longview Hall on the university’s main campus, 2100 South Mobberly Avenue in Longview. Hours are from 8 a.m. to 8 p.m. Mondays through Saturdays, and from 2 to 8 p.m. on Sundays. Dr. Martin Luther King Jr. Memorial Walk and Program - March begins at 6 p.m. at Willis King Administration Building. Program begins at 6:30 p.m. at Julius S. Scott Sr. Chapel. “The Road to the Promised Land: Martin Luther King Jr. and the Civil Rights Movement” will feature photographs, facsimiles of landmark documents and quotations by the late Reverend Dr. Martin Luther King, Jr. and others engaged in the struggle for civil rights. The exhibit surveys the civil rights movement from MLK’s emergence as a civil rights leader in the Montgomery, Alabama, bus boycott of 1955 through the 1990s. Martin Luther King Jr. Day March and Ceremony - 9 a.m. - “Learning to Live Together as Brothers." The march will begin on the square downtown in the 100 block of N. Broadway. It will end at the Cathedral of the Immaculate Conception at 423 S. Broadway. Click here for more information. Unity in the Community event - 10 a.m. at the Texan Theater, presented by Kilgore Men of Alliance. 3 food truck vendors on hand in addition to the events of the day. If you have an event to add to this list, send all the details to us at Webstaff@kltv.com. Martin Luther King Jr. March. Assembly starts at 11:30 a.m., march starts at noon from the Homer Garrison Federal Building.